Registering a company or corporation in the United States is the first step to start your businesses in this country. Residents or foreign individuals can register companies in the United States. Registering a company in the United States will allow you to sell and offer your products and services as well as buying merchandise for your subsequent export. For more than 20 years we Martorell's Office Corp are the pioneers in business registration here in the United States for natural individuals living outside the United States and also for small and regular businesses that are already established abroad and need to register a corporation here in U.S. Registering a company in the United States consists of two steps: first step is the registration of the corporation in the State where the company will exercise and the second step is the processing of the EIN (tax identification number). Can I register a company or corporation in the United States if I am not a resident or American citizen?? Yes. Anyone, regardless of immigration status can register a company here in the United States. Do I have to travel to the United States to start a business? No. It is not necessary for you to travel to the United States. We work directly with the State Department which means we can do all the paperwork for you and send all documents by mail to your office in your country of residence. How long does it take to register a company in the United States? For people who do not live in the United States: Generally, from the day we receive the payment it takes 10 to 12 business days and immediately you can open the bank account in your bank of choice. For residents, american citizens or people with Social Security number: Generally, from the day we receive the payment it takes 2 to 3 business days and immediately you can open the bank account in your bank of your choice. Can I process a visa for business or investment with the registration of a new company in the United States? 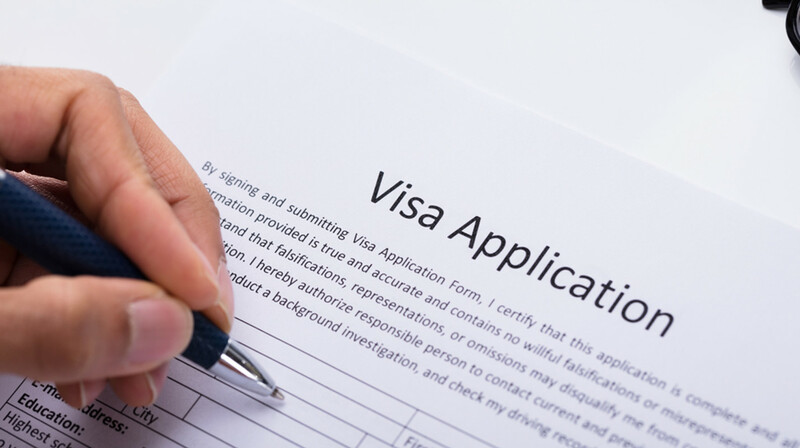 Visa L1: It is a visa for the transfer to the United States of an Executive, Owner or partner who is working for more than 12 months in the company located outside the US called mother or parent company. With this type of visa, the Executive, Owner or Partner may work in the subsidiary located in the United States, but also his family can work, study and live legally in the United States by the time it is granted the L1 Visa, this type of visa has the option to request legal residence after the first renewal. It is an investment visa, whereas you will require a minimum amount of investment and meet certain requirements for the US government to grant you legal residency. You can request more information about this type of Visa E1 by clicking . Visa EB5: It is a type of Visa that offers residence direct to people who invest a certain minimum amount of money in companies within the United States and also meet a variety of requirements in the United States. General: General: The minimum investment to qualify in the United States is $ 1 million. Area with High Unemployment Rate: The minimum investment required either to an area with high unemployment or rural area in the United States is $ 500,000. With more than 20 years of experience in the United States, we have a team of senior experts in the field to build your file and thus be able to work with the best in the country Immigration Lawyers. Must I be present in the United States to open the bank account? Yes. You and all those who appear in the registry of the American company must be physically present here in the United States to open the bank account. What is the minimum amount for the opening of the bank account in the United States? There is no minimum amount, you can open the bank account with the amount you want, for example $ 20 or $ 100. Only you can decide the amount of the opening of the bank account of your company and the bank may not require otherwise. Should I add all partners that I have in my country? No. You can add all partners if you desire, otherwise at least one of the foreign partners must be in the registry to the American company; with a single partner will be enough. Can I pay the registration fees of the Company with a credit card from my country? Yes. We accept payments by debit or credit card from your country of residence. We accept international cards and / or Internet quota. Can you help me with the opening of the bank account in the United States on behalf of my company? Yes. For many years Martorell Office works directly with leading and largest banks in the United States, we will contact the bank of your choice and we will provide them with all legal documentation they may need to open the account until you are physically present here in the United States. The EIN is an Employer Identification Number (EIN acronym) is a nine-digit number assigned by the IRS. (Internal Revenue Service) is used to identify tax accounts of employers and others who have no employees. The IRS (Internal Revenue Service) uses the number to identify taxpayers who are required to file various business tax returns. One of our professionals will answer your consultations within 24 hours. Thanks for contacting Martorell's Office Group Corp, it will be a pleasure for our firm to help with your needs here in the United States. "Your corporate solution in the United States".